June is a month of command performances for us. 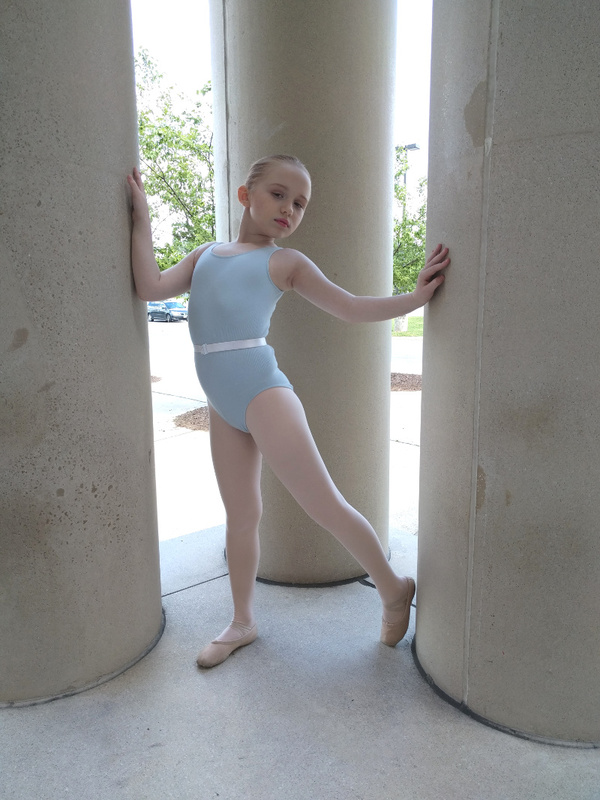 We capped off our ballet studies this year with a ballet recital. 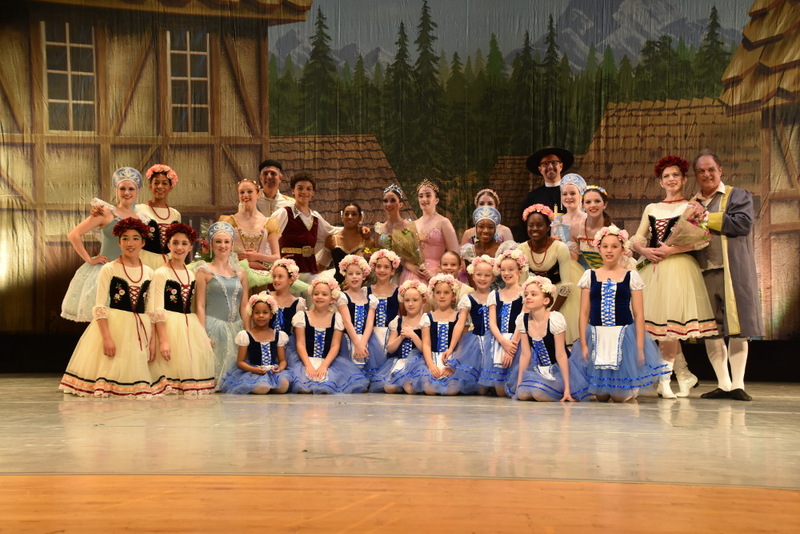 The girls have been practicing every Saturday since last fall for this production and last week had over 8 hours of rehearsal before the performance. 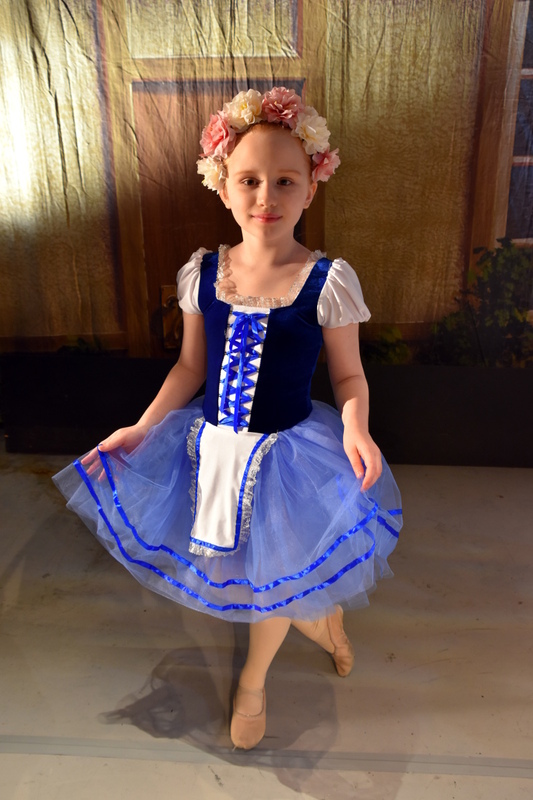 The girls always enjoy being in costume on stage. We were just playing around outside the stage during dress rehearsal but I LOVED the girls free-form poses. I loved the grace exuded in this pose. I loved this one too. Grace mixed with power. 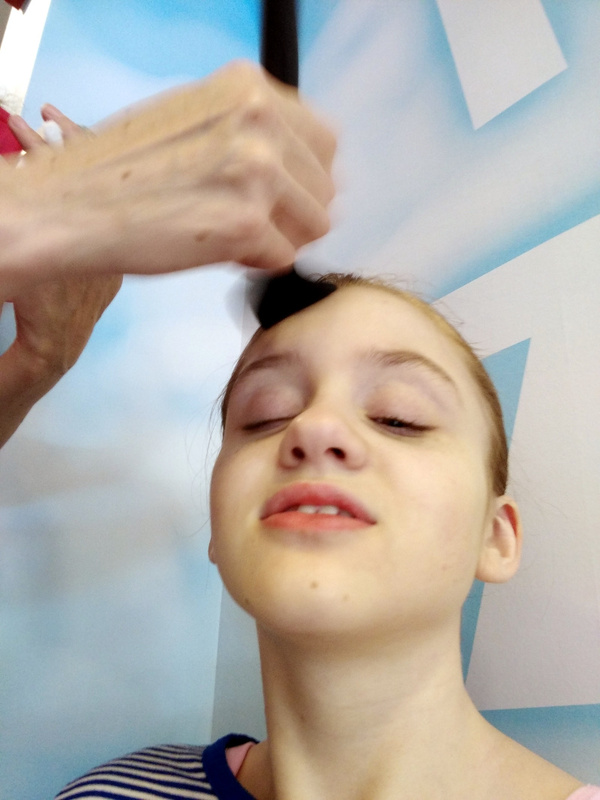 For me, the biggest stress of the final recital preparations are the hair and makeup! Hair must be slicked back with hair wax or gel and makeup applied (with the strict instructions that it must be subtle). While I feel comfortable working with makeup, it is challenging to put it on another person. 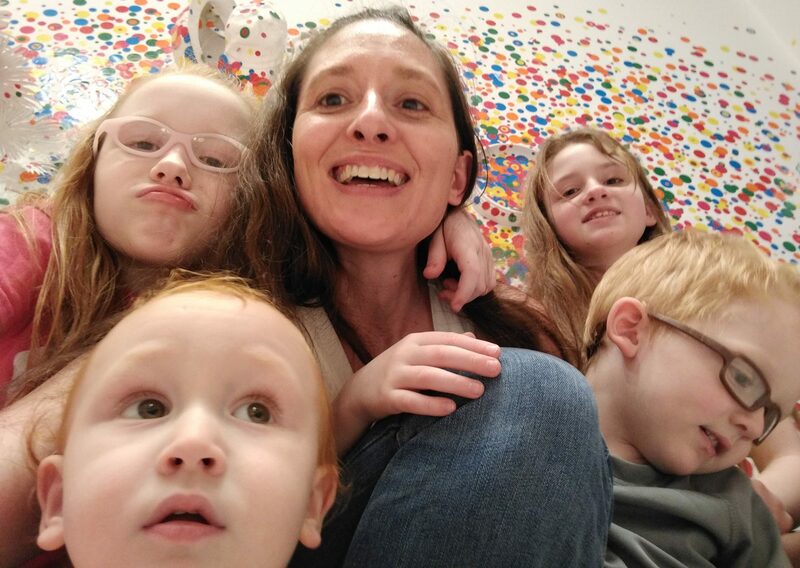 In the case of my daughters, they are also a totally different complexion from me so what works for me is too dark and too orangey for them. It has taken some experimenting to figure out what works. 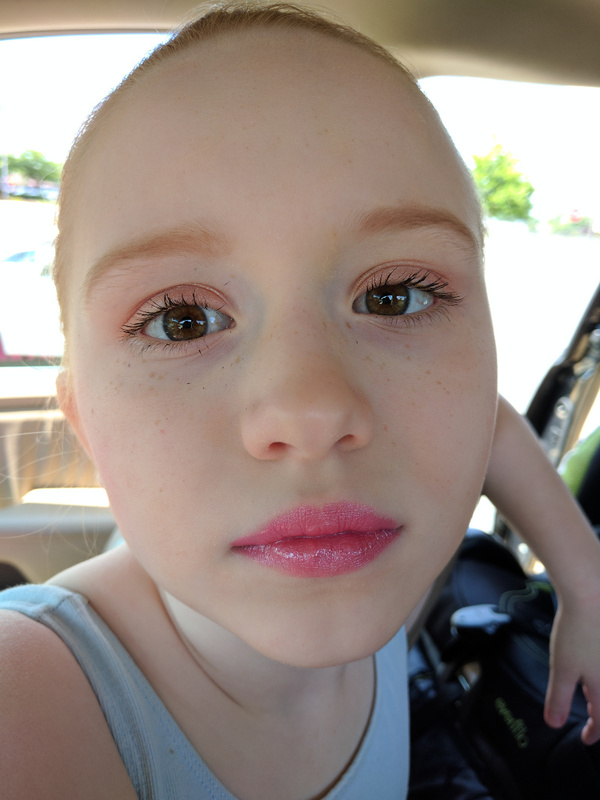 For my redhead, using the darkest shade of bronzer (that has a lot of red undertones in it) was the perfect color for her nearly invisible eyebrows. For my blonde with darker eyebrows, a dark brown worked better. The makeup look for my redhead. I thought this was near perfect. It enhanced her features without looking overdone. As luck would have it, the day of dress rehearsal, the alternator on our car battery went out. We packed up all the makeup supplies and ended up doing makeup in the car dealer’s waiting room! 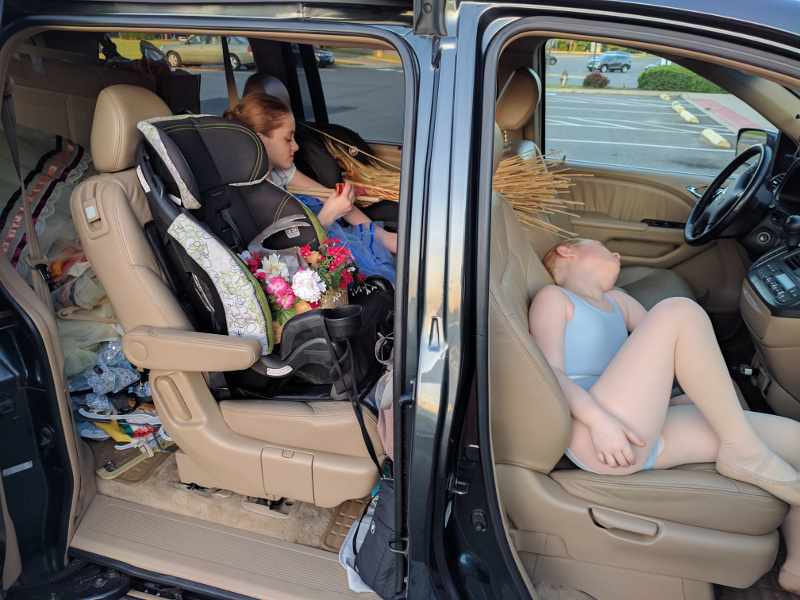 It was vaguely satisfying to have the service advisor express amazement at my ability to put mascara on my child in these conditions. Makeup in the car dealer’s waiting room. Sometimes you just have to make it work! The performance went well! The girls costumes were so beautiful, especially the floral headpieces. Many of the dancers had the floral headpieces on and they were all stunning. Some of the older girls wore a similar style but with red roses. This idea would be great for a wedding party. 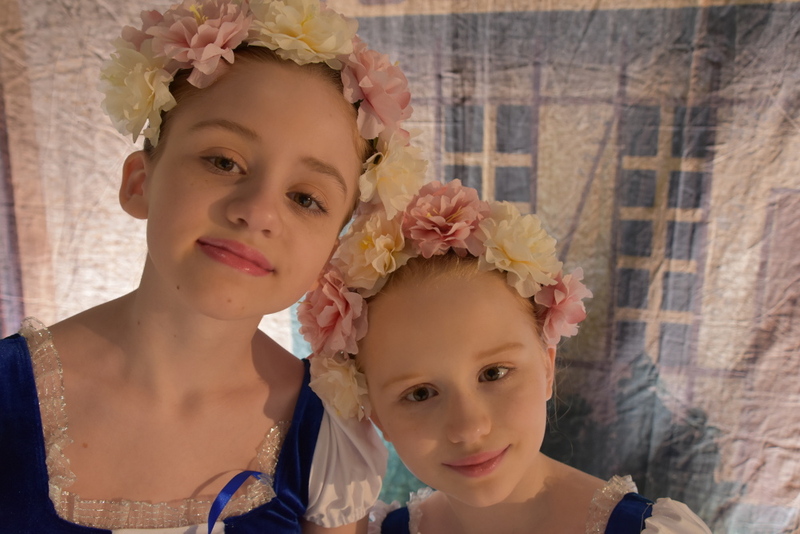 These pink and white flower crowns were so gorgeous on the little girls. 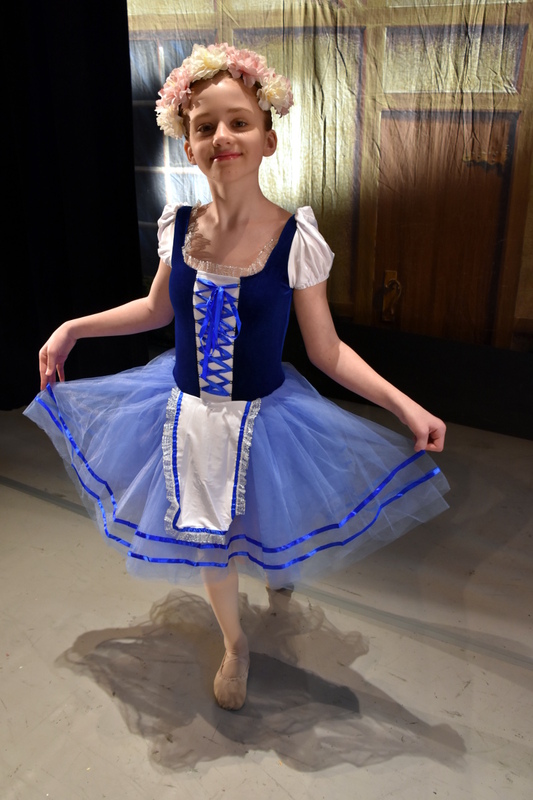 My favorite moments from the performance were watching one daughter give an unballet-like jiggle as she scared a character, causing the audience to laugh and seeing the feet of another daughter prance and dance with great energy while waiting for the curtain to rise in the third act. I am so proud of her grace and beauty. 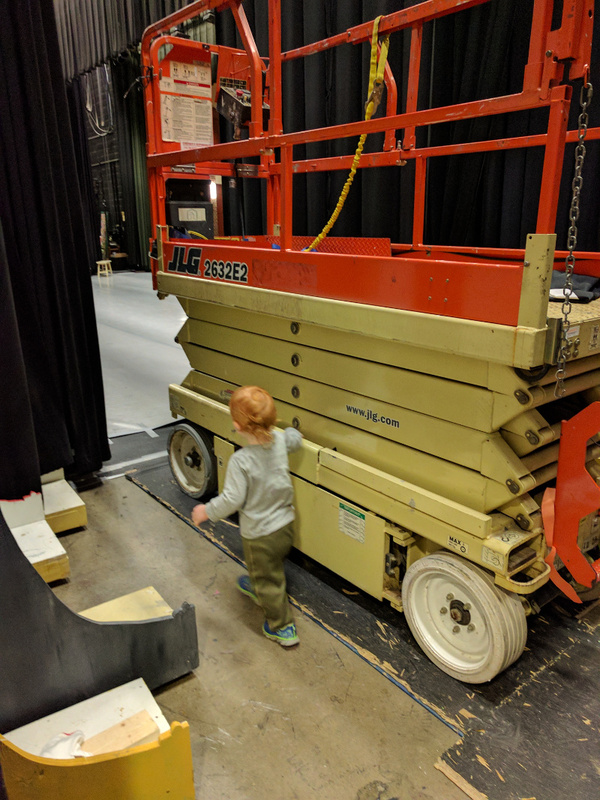 We had to help take down the stage at the end of the performance. We packed our car with costumes and props. The girls were a bit tired by this point! After the performance a little grocery shopping! 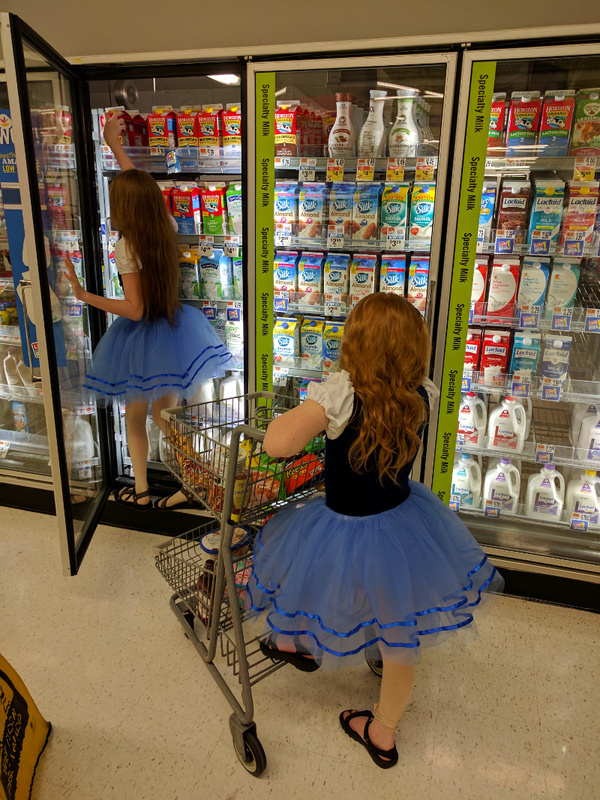 These girls were definitely the best dressed in the grocery store! 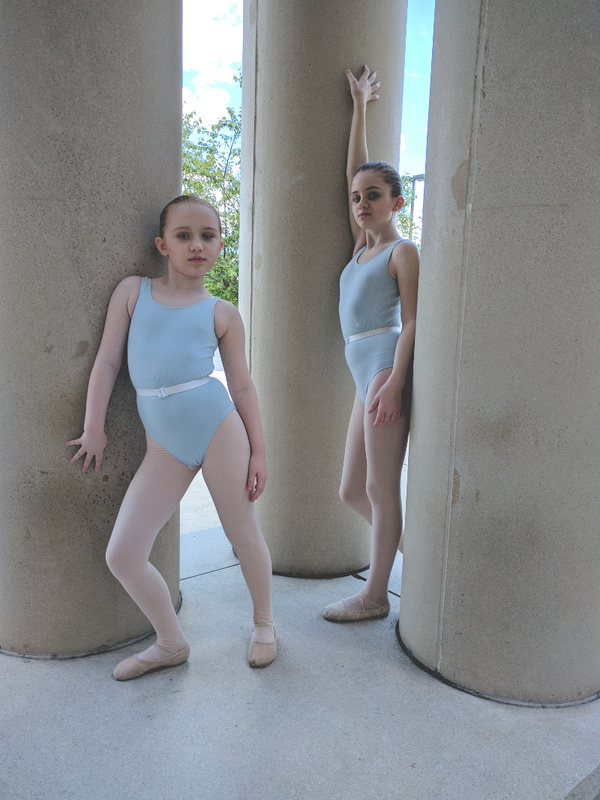 Both of my daughters have improved in their ability to learn and remember choreography this year as well as developing a greater natural sense of what a ballet-like movement looks and feels like. Kudos my daughters! You make me so proud!